Axis Direct offers 3-in-1 account which is an integrated platform of Savings Bank A/c, Demat A/c and an Online Trading A/c. Its broking product range covers Institutional and Retail Equity, Derivatives, Depository Participant services, Online trading and a wide variety of Third Party Distribution products. Axis Direct is the broking arm of the Axis bank group and was incorporated in the year 2005. The broking product range covers institutional and retail equity, derivatives, depository participant services, online trading and a wide variety of third-party distribution products. It offers its customers to trade in Mutual Funds, IPO, NSE and BSE in the segment like Equity Cash, Equity Derivatives with around 73 branches across India. Investment Plus Plan - Under the Investment Plus Plan, you have to deposit Rs 1500 of fees in advance. You don't have to pay brokerage for a delivery trade up to 3,00,000 Turn Over. Now or Never Plan - Under the Now or Never Plan, you have to deposit Rs 5555 of fees in advance. You don't have to pay brokerage for a delivery trade up to 12,00,000 Turn Over. Axis Direct is right in line with its closest full-service competitors. Its .50% for equity trades is slightly less expensive than ICICI (.55%) while same as Kotak, HDFC and SBI (.50%). Minimum Brokerage AxisDirect: Axis Direct charges minimum brokerage of Rs 20 per trade or 2.5% of the trade value whichever is lower. Call & Trade Service: Rs 20 per call post 20th call per month. AxisDirect charges flat 1 paisa to 6 paisa per share brokerage on stocks priced less then Rs 10 per share. Sell - Market and Off-Market 0.04% of the value of the transaction (Min Rs 25 per instruction) whichever is higher. 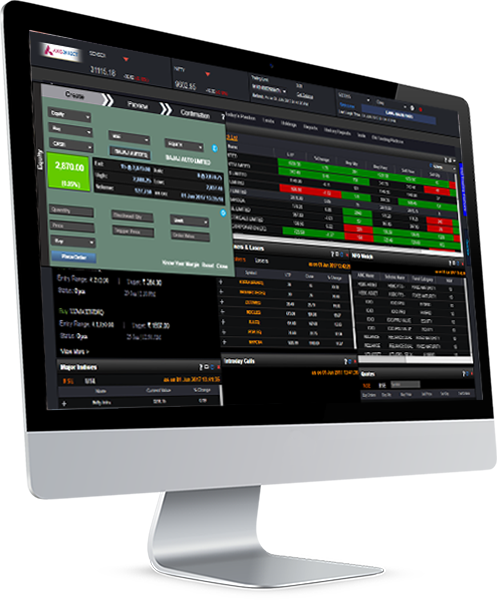 AXISDIRECT supports all the three modules of trading platforms i.e.terminal based, web-based and mobile app. AXIS DIRECTTrade is a terminal based windows trading platform that has to be downloaded and installed on your computer or laptop. This gives complete flexibility and portability for the clients to trade from anywhere. 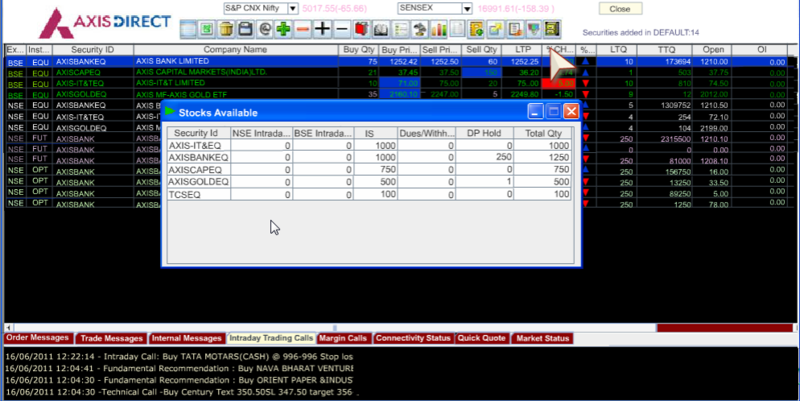 Includes shortcut keys to place trading orders at rapid speed. Subscription fee to use AXIS DIRECTTrade is 2999 waived off recently. Customized & easy filters and search bar built across the portal, find exactly what users are looking for. Follow market and market events with absolute ease with expandable market ticker right on top. access live markets through RSS feeds, video channels, tweets and more. Complete view of portfolio across Equities, Mutual Funds, ETFs & Derivatives. Can view live quotes of any stock and do more analysis through dynamic looking, live charts. Tracking stock-wise profit or loss for the day and overall, at just 1 tap. Stay up-to-date on positions with live market information. 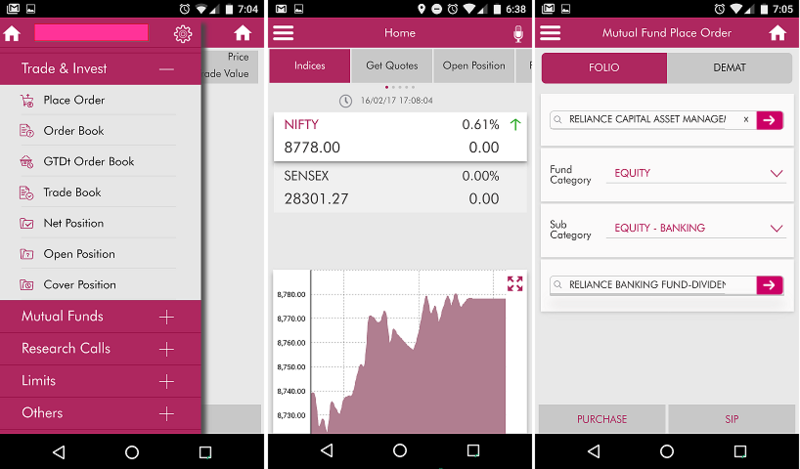 Axis Direct Mobile App is one of the leading mobile trading platforms in India. Axis Direct stands top in the accuracy of research calls provided by stockbrokers. Research Ideas & Research Reports are two main tools of Axis Direct to help its clients for research and analysis. Apart from providing research calls, Axis Direct offers classroom sessions, webinars, Online Tutorials and Articles by Experts to help beginners understand basics. Although the quality of resolution is better than average, Axis Direct is known for delayed responses to its clients, be it any form of communication. Users who trade regularly may not like the delay in approach. So to hold active trader,Turnaround time for fixing the problen has to be improved. Axis Direct is a platform by Axis Bank to promote all their products and offer trading in equity and Derivative segments with hefty charges, be it account related or brokerage. Other than that, it provides reasonable customer service and pretty good research. The Broker is backed up by the Bank which is also a plus that organically adds up to its reputation. So overall a one stop solution for all your trading needs but at a cost higher than Discount Brokers.